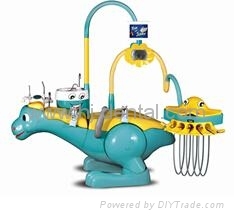 lovely dinosaur, smiling blue cat and mini fish are miraculously turned into dental chair, side box and instrument tray, which is very innovative design. 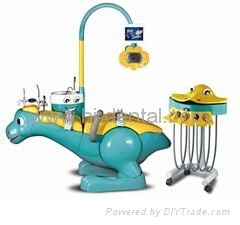 This is called our cartoon pediatric dental chair. 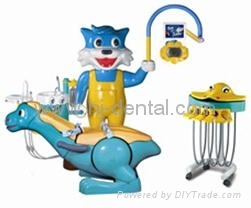 a DV player dental device provide cartoon movies which make kids neglect painess so as to fulfill oral surgery in relax atmosphere.